Our Excalibur Polishing Cloth is in a class all its own! This suede microfiber cloth is a full 16" x 16" and is the finest polishing cloth in our line. Completely safe and non-abrasive, the Excalibur is the elite polishing cloth for your high performance finishes. 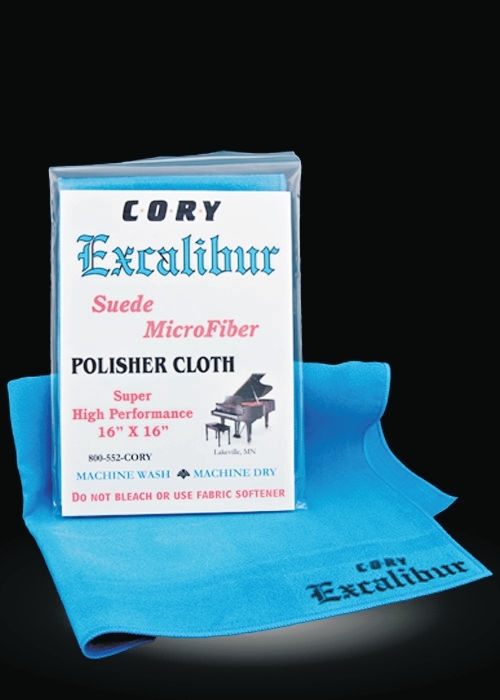 Excellent for piano finishes, furniture, computer and television screens, high performance motorcycle & auto finishes, the Excalibur stands above all other cloths for spectacular results. This cloth will last many years of enjoyable use, is machine washable and durable. The Cory Excalibur is packaged in a reusable ziplock bag for storage. You'll love this extraordinary cloth. Use the BEST, use Excalibur!